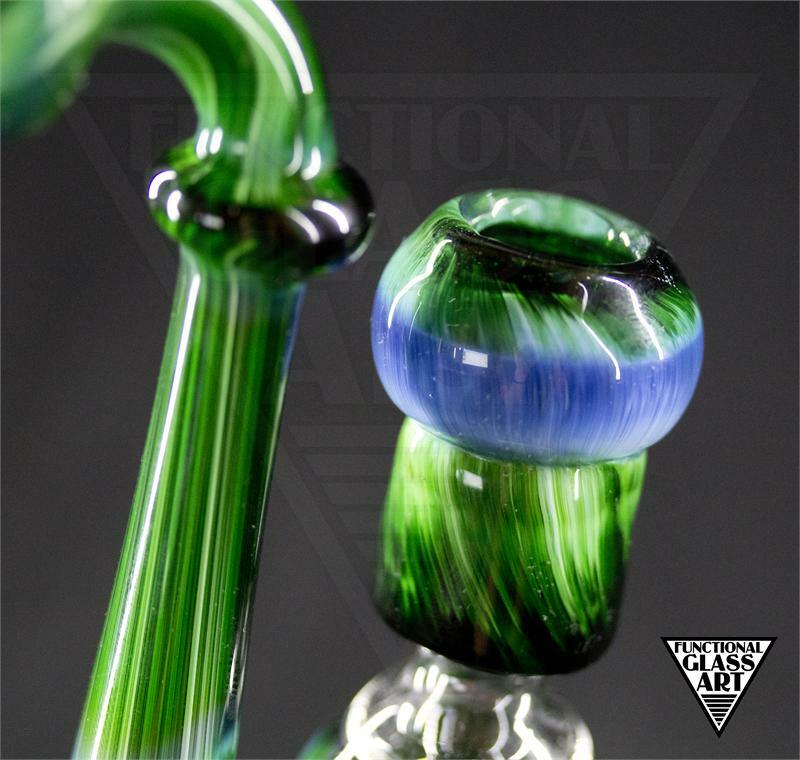 Size: 5" x 3" x 8"
Amy Canada Ellenhorn AKA "ACE" brings us a large spectrum of glass styles from Huntington Beach, CA. She has been using her glass sculpting and sandblasting techniques to make some really cool pieces. This pipe shows of her color work as well as sandblasting.